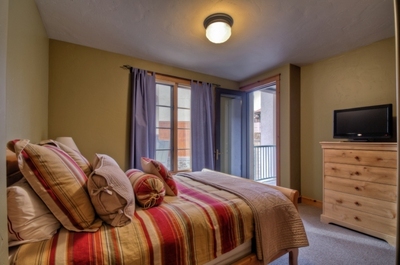 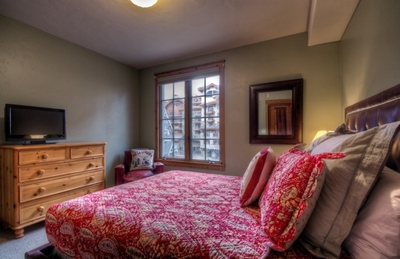 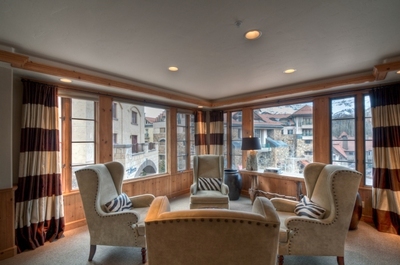 This condo is in the building that defines the Mountain Village Core! 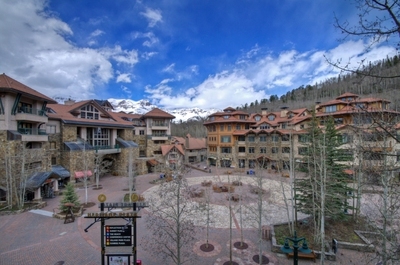 This beautiful 5 bedroom/4.5 bath condo in the Mountain Village Core right on the Plaza is so conveniently located for skiing or accessing summer activities. 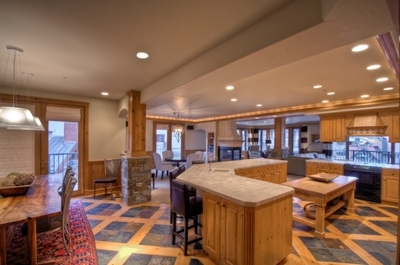 With a mountain chic interior and views to go with with it, your family or small group will have the time of their lives enjoying the comfort and luxury of this residence. 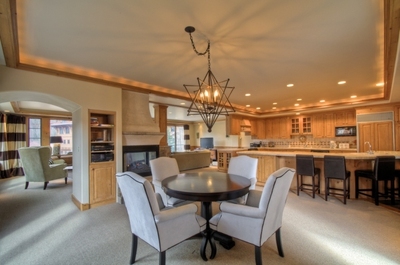 The gourmet kitchen is designed to be the focal point in the great room area. 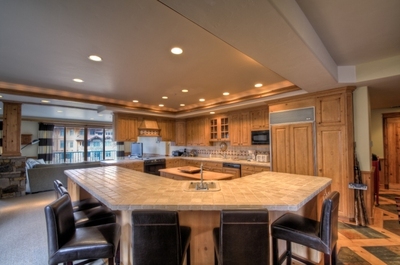 The kitchen is fully equipped to handle the chef in the groups dreams, or bring in the caterer! 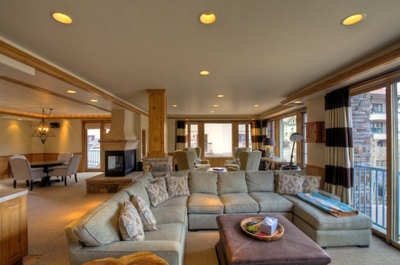 The living area with a fireplace well situated between two seating areas provides the warmth and ambiance desired for those chilly nights. 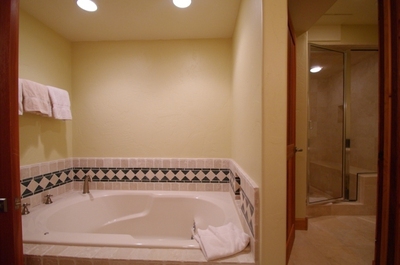 There are five bedrooms and 4.5 bathrooms. 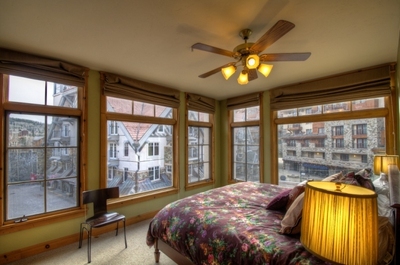 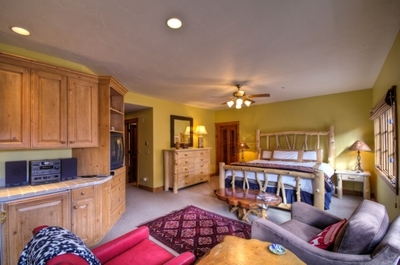 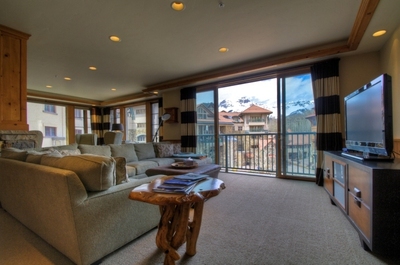 The Gondola access is a short walk across the Plaza, there is an ice skating rink right out the condo's door, and access to hiking, biking, and all of the outdoor activities that go along with your Telluride Vacation are easily yours to enjoy from The Plaza!